I love having success with a new slow cooker recipe! I found the original recipe on Pinterest and made some adaptations including the addition of herbs and red wine. I also opted for 93% lean ground turkey rather than lean ground beef simply because lean ground turkey is lower in saturated fat. It is true that beef has more iron than turkey meat but I'd rather save on the saturated fat and serve a spinach salad on the side of my ground turkey meatball grinder. I guess once we loaded it with cheese all fat count considerations go out the window anyway! 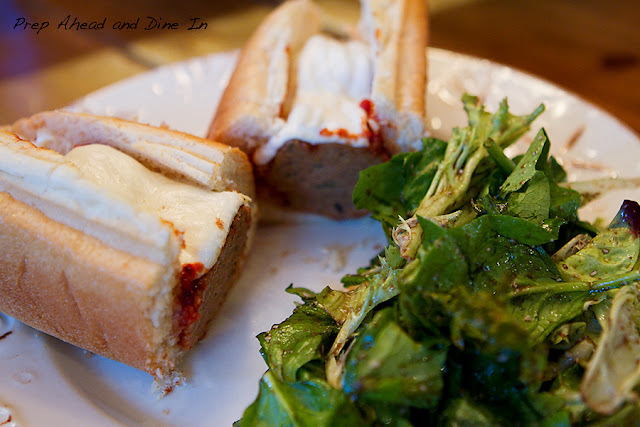 Either way, I hope you enjoy these quick and easy meatball parm grinders! Prep ahead Plan: I prepared the recipe the say before and let the slow cooker insert sit overnight until I was ready to bake it! 1. Spray the inside of a slow cooker insert with cooking spray. 2. In a large bowl combine all of the ingredients for the meatballs. 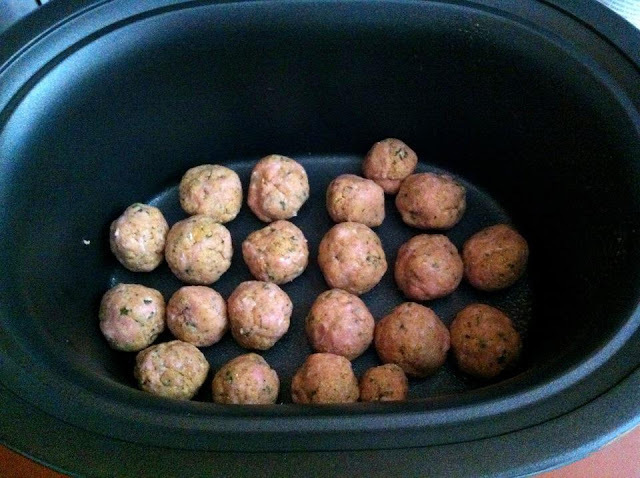 Mix with hands and form into 1 ½ inch meatballs. Place them in the slow cooker. 2. Open the cans of whole tomatoes and squeeze each tomato over the meatballs. Pour any remaining juice from the cans on top of the meatballs too. 3. Combine remaining ingredients in pot and stir making sure not to mash up the meatballs. 5. To make grinders. Preheat oven to 325 degrees. Spray grinder rolls with olive oil spray and sprinkle them with garlic powder and bake for 5 minutes. 6. Remove from oven and place meatballs in the roll and top with sliced cheese. bake for another 5 minutes or so until the cheese is melted. Enjoy! 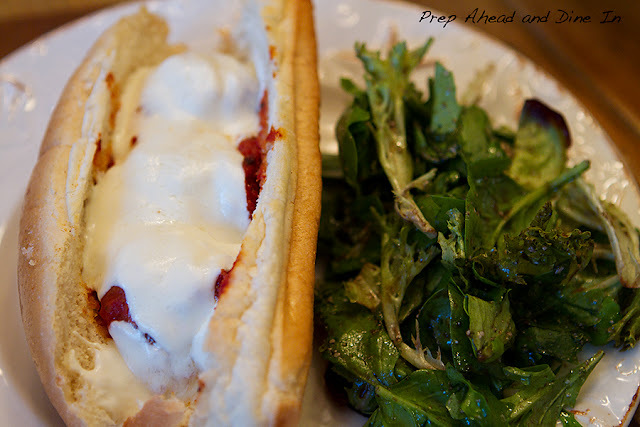 Copyright © PrepAhead and Dine In: Slow Cooker Meatball Parm Grinders. All Rights Reserved.